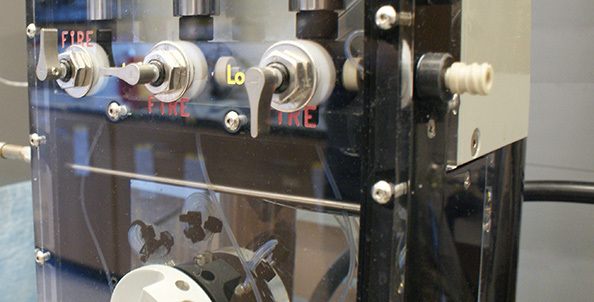 In our studies of RNA and protein enzymes, we use technical approaches that include pre-steady-state kinetics, analytical ultracentrifugation, crystallography, microscopy and cell culture. 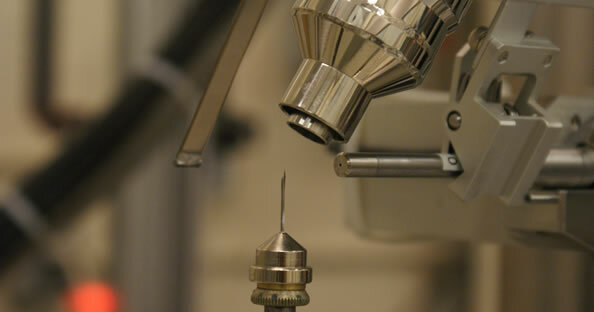 State-of-the-art instrumentation on site facilitates all of our scientific investigations. The RIG-I innate immune receptor is a "surveillance protein" that helps us detect and combat viral infections. 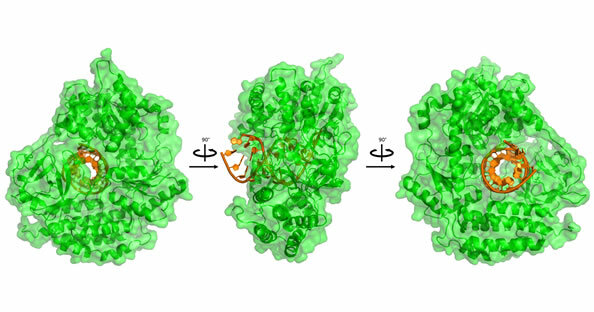 We solved its structure and showed how viral RNA (gold) is recognized by the RIG-I protein (green). We make our own modified DNA and RNA, using chemical synthesis to produce unusual nucleic acids for the study of molecular recognition. 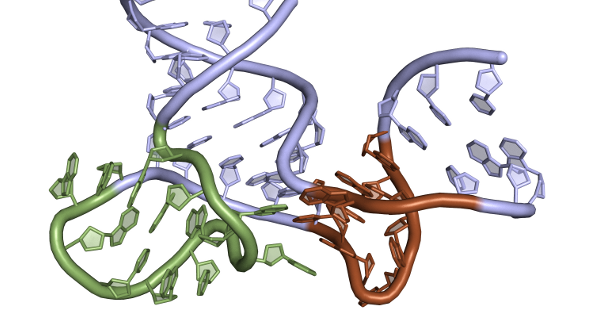 Our studies on the group II self-splicing intron shows that large noncoding RNAs can adopt elaborate tertiary structures, enabling them to catalyze complex reactions. 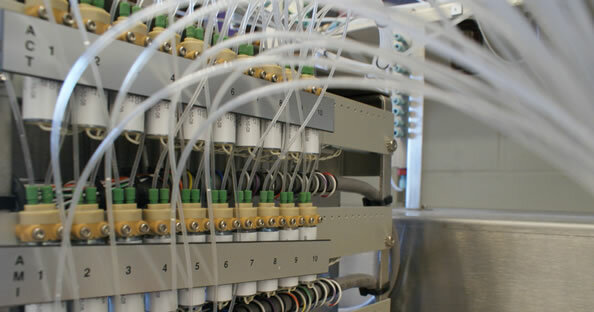 To understand the molecular mechanisms of catalysis by our enzymes, and to probe their structures, we employ a diversity of enzymological techniques. Welcome to the Pyle Lab. We explore RNA Biology, studying the molecular interactions important for RNA structures and the activities of RNA-protein machines. 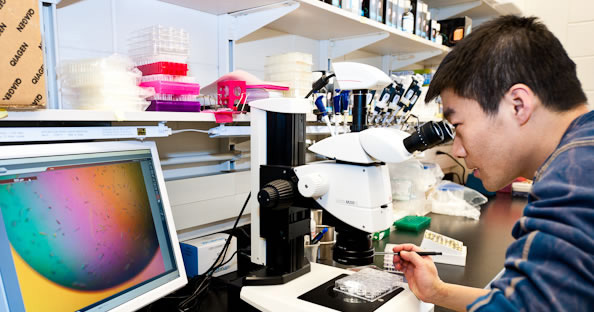 Using tools that range from crystallography to cell culture, we seek to understand the impact of RNA architecture and dynamics on the life of the cell.